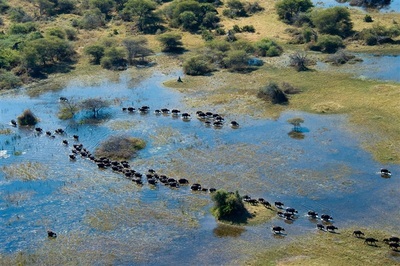 Dominating the north west of Botswana is the unique Okavango Delta (and at some 15 000 to 22 000 square kilometres in extent) the world’s largest inland Delta. The extent of the area inundated with water varies according to the seasons. 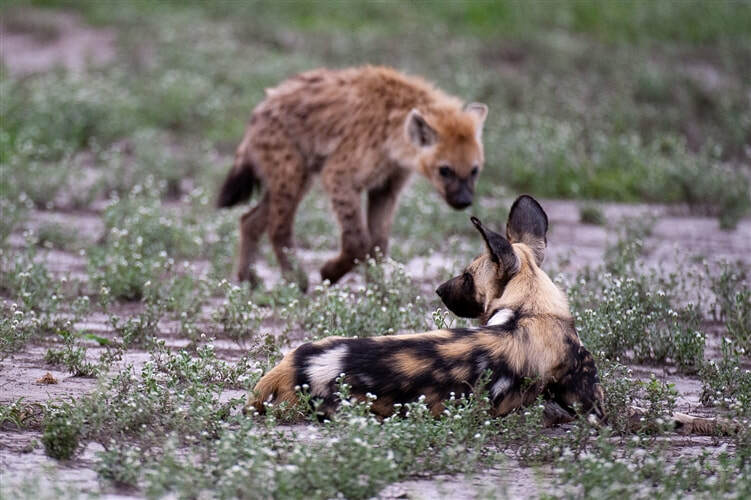 The Okavango is surrounded by Kalahari sands, and as it contains some 95% of Botswana’s surface water, is of huge significance to man and animal alike. This fascinating and unique area is also a designated World Heritage site. 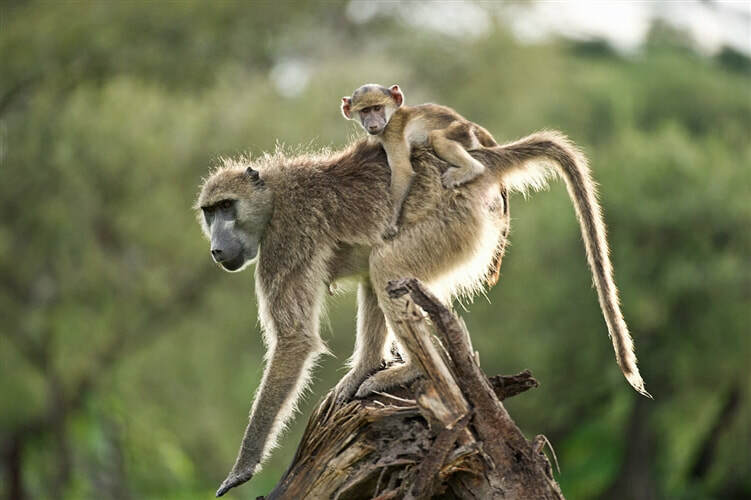 The Okavango Delta is all that is left of the once extensive Lake Makgadikgadi - the water's of which once covered a large section of Botswana's middle Kalahari. 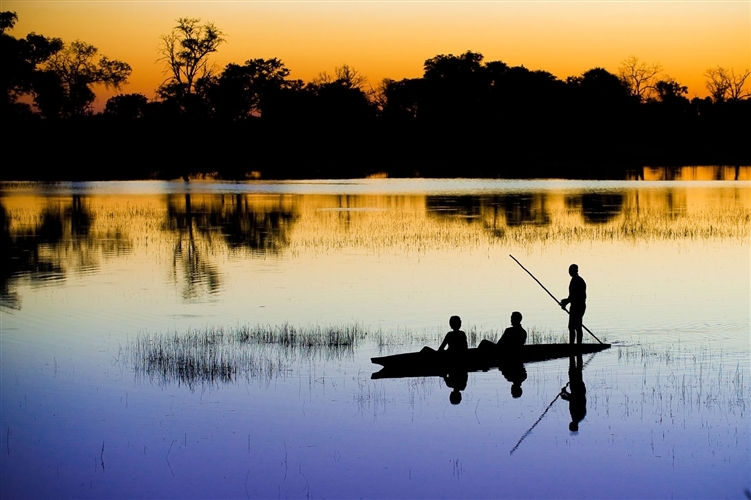 The Okavango River is also closely associated with the Kwando, Linyanti, and Chobe River systems and marshes, in the northeast of Botswana. It is probable that the Okavango, Chobe, Kwando, and upper Zambezi waterways once flowed as one much larger River across the middle Kalahari, to join the Limpopo River and then into the Indian Ocean. With minor seismic shifts, a rift was formed, which impeded this flow. 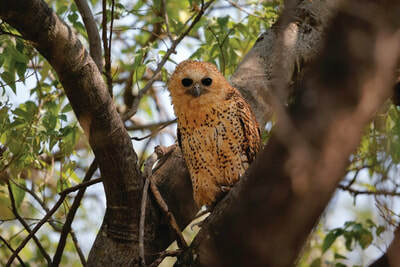 As the Okavango River left the highlands of Angola, and entered the arid flatness of the Kalahari, it slowed and deposited much of its sediment load. Channels became blocked and the water was forced to find alternative courses and, over time, tons of sand and debris were deposited, creating the existing fan shape of the Delta that we see today. 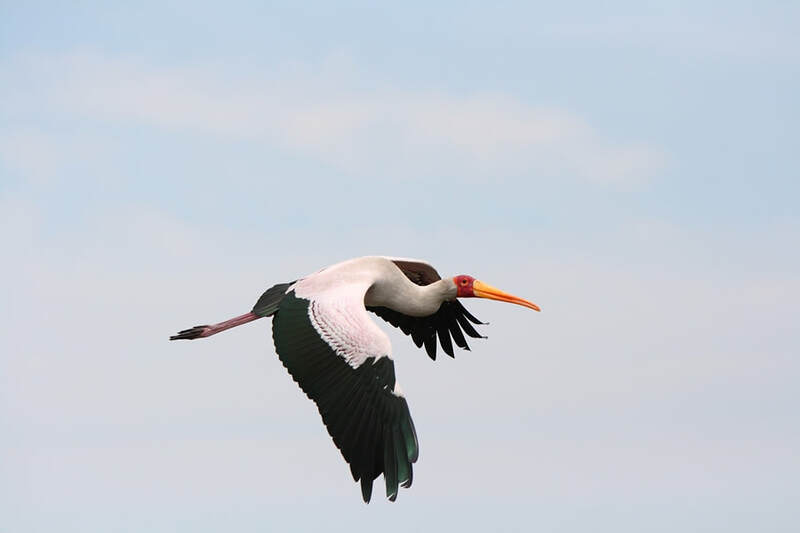 A number of fault lines now effectively control the direction of flow of the Okavango River, from the Panhandle, to the Maun area – where the Thamalakane fault forms a natural dam, some 240 kilometres in length. It is here that the channels change direction, and form the Boteti River. A portion of the Okavango is also a proclaimed Reserve. The Moremi Game Reserve has been in existence since 1963, and is frequently referred to as one of Africa's most beautiful. 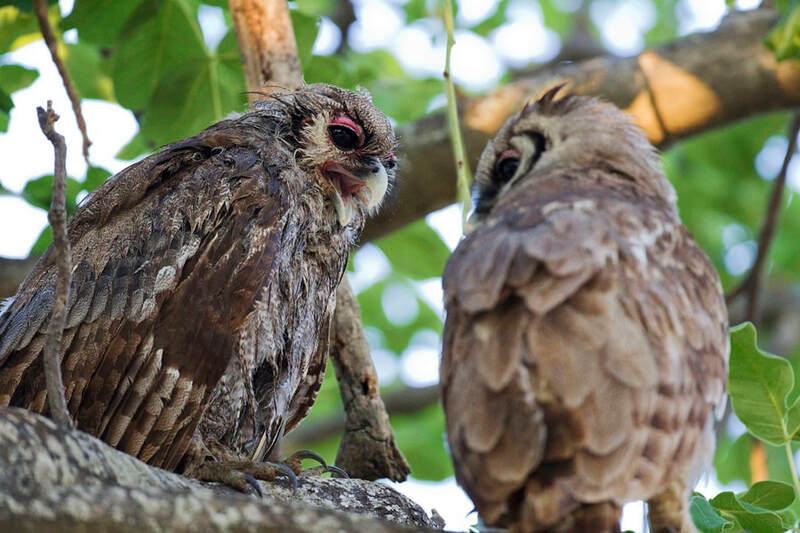 Birding is excellent, as the seasons allow for an incredible diversity of species, with many migrant species visiting from November to March. 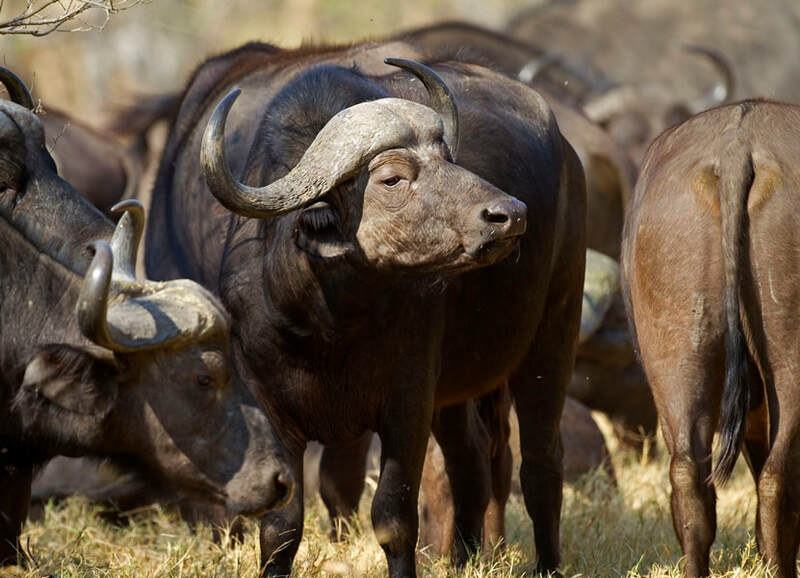 Although much of the Delta is given over to the Moremi Game Reserve, in addition, there is an excellent number of large private concessions which are home to an excellent selection of camps and lodges. Even with the emphasis on tourism, the Delta is still very much home to local fishermen, and to the west and north, farmers. 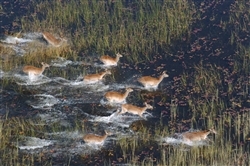 When you first fly over the Delta, as you must in order to reach most camps and lodges, you may be forgiven for thinking it is not particularly pre-possessing… a vast stretch of flat land, with numerous water ways and tiny islands, linked by game tracks….It is when you are on the ground, or better still in a mokoro, being poled along those water ways that you get the true Okavango experience. The papyrus fringed channels are alive with birds, and tiny frogs, and your vision can be limited… until you come around a corner and are met by the crystal clear, yet amber coloured, waters of a lagoon, and endless views to the horizon. 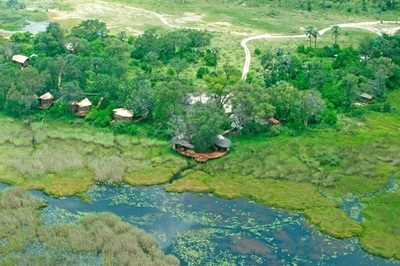 This is the Okavango at its best - vast, pristine and unique. Go back into the waterways and your next view might be of an island, whose slight elevation makes it a suitable home to some huge trees – generally ebony, jackalberry, sausage tree… but then there are slightly out of place looking palms… whose fruit is much loved by the elephants. The area is alive with birds, and you can easily see the fish as the dart around, and underneath, you. Every so often you might hear a loud splash – generally caused by a large crocodile going back into the water, or perhaps shy sitatunga antelope dashing along. 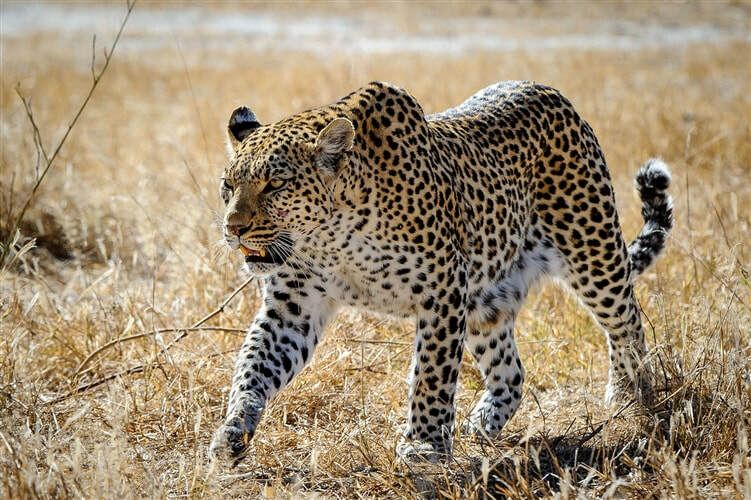 The Okavango is well worth a game walk or two - perhaps the best way to get closer to the animals and to experience this most unique, and incredible area. 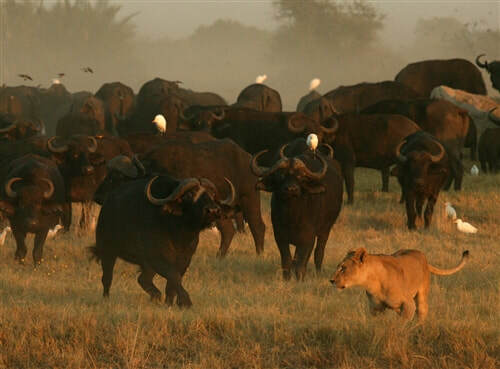 There is more than sufficient open ground to allow for surprisingly big herds of antelope, buffalo and elephant, all of which are naturally pursued by the predators, in particular lion. 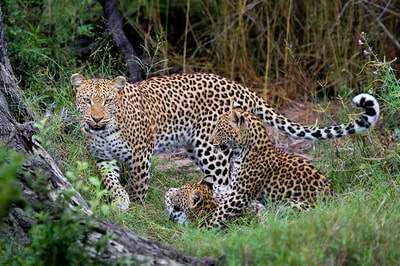 The deeper reaches of the Delta are also home to pods of hippo, and there are some magnificent crocodiles. 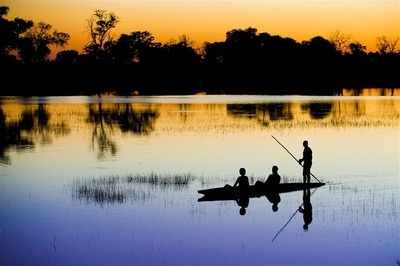 The Okavango’s water levels rely on the rains in the Angolan highlands, and trickle down, across the Caprivi, into Botswana, where they generally reach the Delta’s panhandle in May of each year. It then takes some 6 months to permeate, and thus the waters actually rise slowly, but surely, during the so-called dry season, reaching a peak, and getting to the town of Maun, at the bottom of the Delta by about August. The waters then start to recede/ evaporate (some 96% of the water), and are at their lowest from about November… this may restrict certain boating and mekoro activities, but this is the time of year for birds, which come in their thousands to breed. Migrants appear, to add to the already high numbers, and stay until about March. 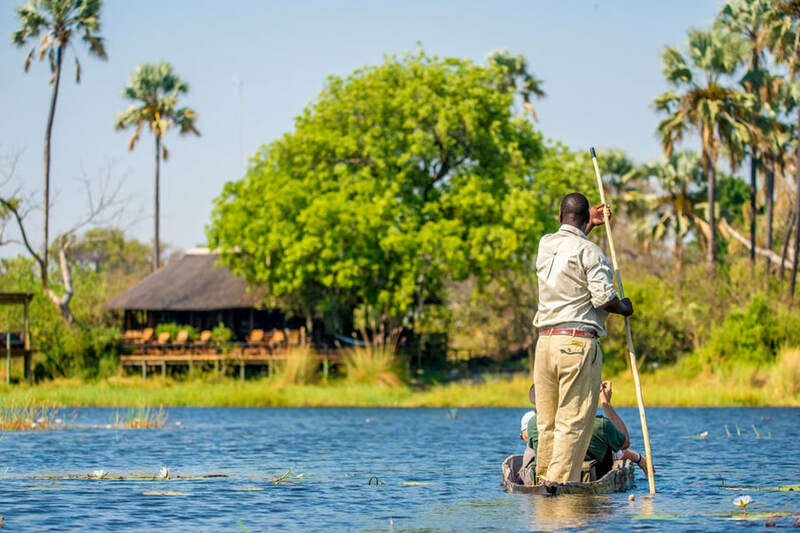 Whichever time you choose to travel, the Okavango is still a haven of peace and tranquillity, and somewhere which will stay in your memory for a very long time. 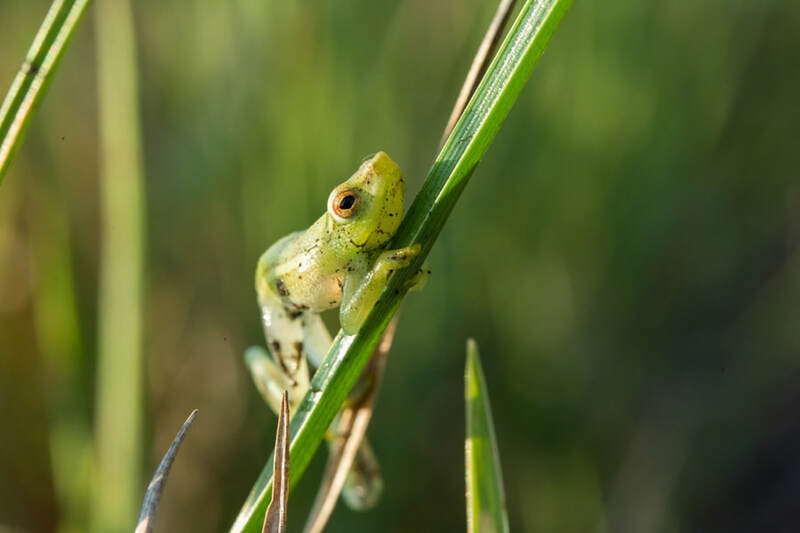 The diversity and numbers of wildlife in the Okavango and Moremi Game Reserve comes as a surprise to visitors – as there are recent records of some 122 species of mammal, 71 species of fish, 444 species of birds, 64 species of reptiles and 1 300 species of flowering plants. 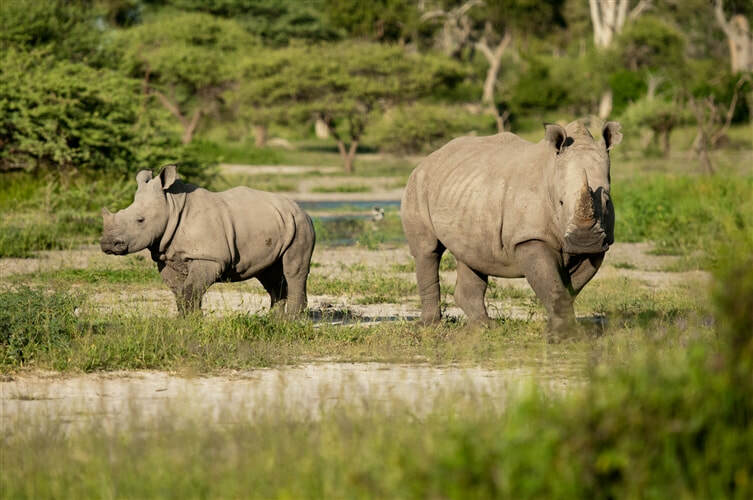 In addition a successful rhino reintroduction programme in the Okavango now puts the population of White Rhino at approximately 35, and Black Rhino at 4. 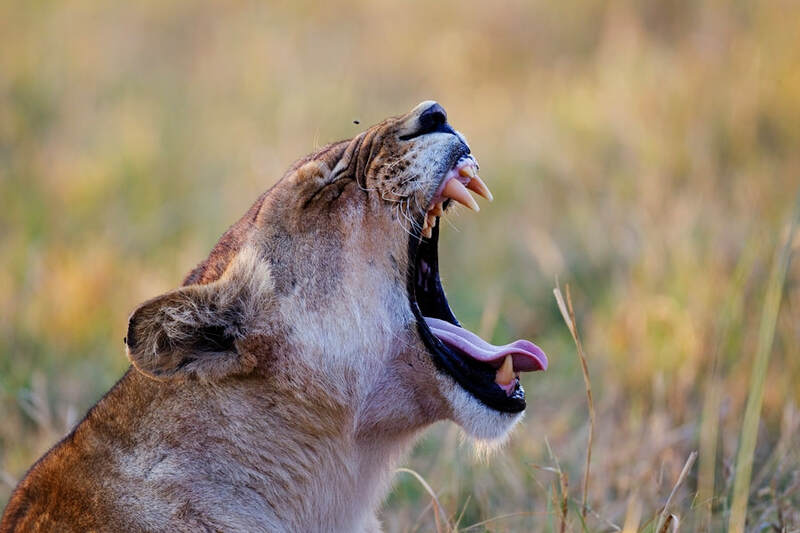 The major mammalian species include elephant, buffalo, giraffe, zebra, hippo, crocodile, rhino, red lechwe, waterbuck, reedbuck, duiker, impala, kudu, steenbok, wildebeest, hartebeest, sable, roan, tsessebe, lion, leopard, cheetah, genet, serval and caracal. 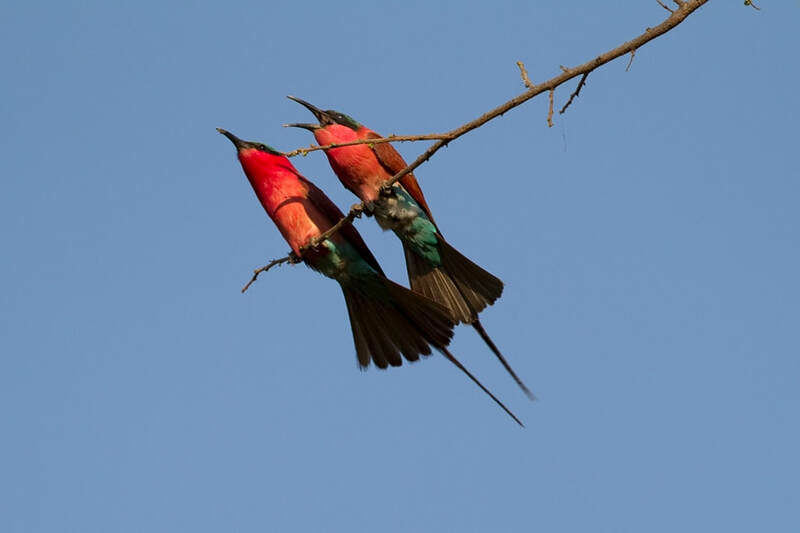 The birds include land and water, resident and migratory species, some of which are rare and endangered. 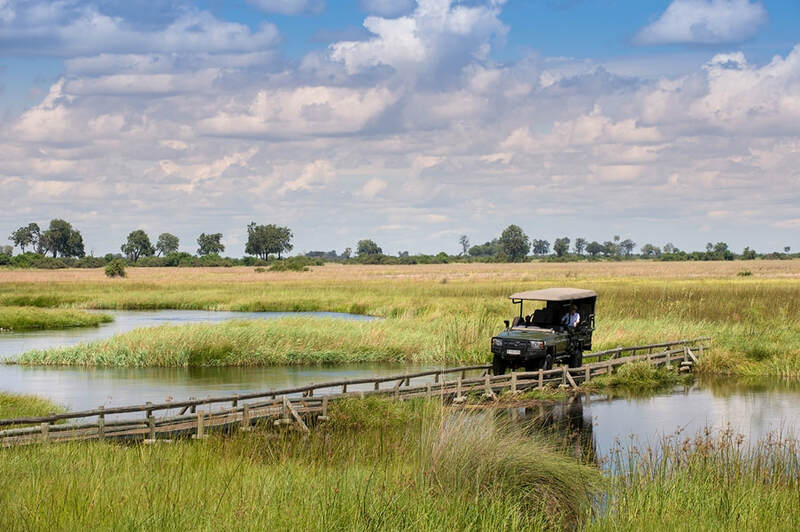 As the water levels in the Delta are highly seasonal, it follows that game viewing can vary greatly depending upon the time of year.